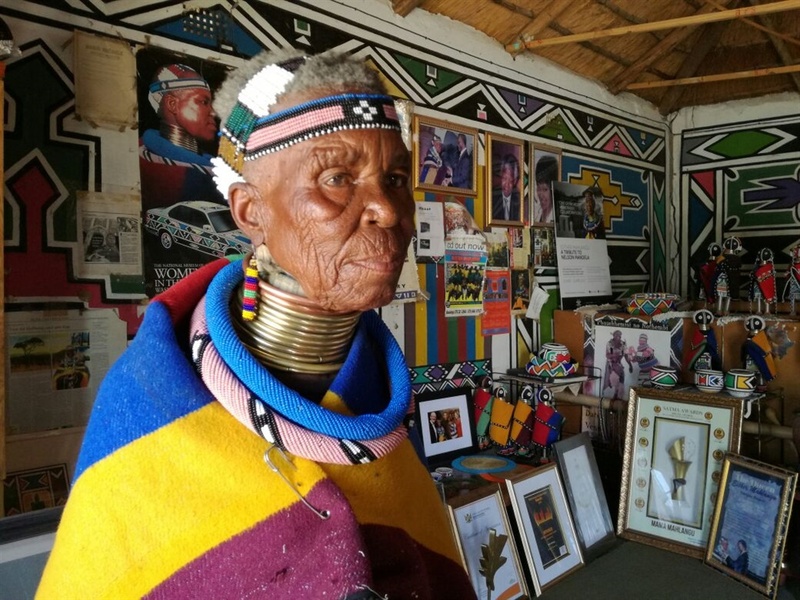 Esther Mahlangu, as she is now known, has been painting since the age of 10. She has become a global icon – and a mainstream commercial success – with her artwork appearing on bottles and cars. 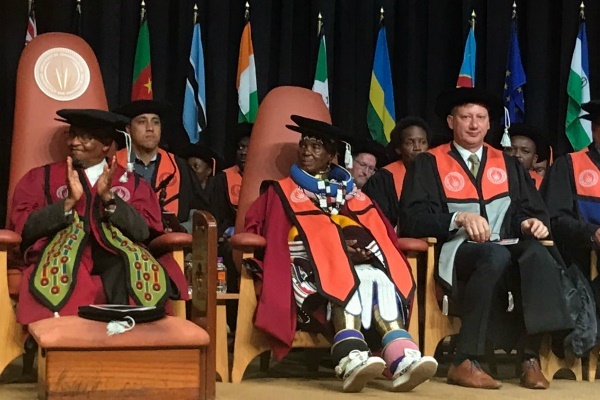 South African artist Esther Mahlangu receive an honorary PHD from the University of Johannesburg (UJ) on Monday, at the age of 82. The university's dean of the faculty of art, design and architecture, Proffessor Fredrico Freschi, told News24 the doctorate is in recognition of Mahlangu's legacy as a cultural entrepreneur. 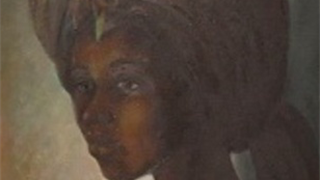 Mahlangu first gained international prominence in 1989 after her works were showcased at the Magicience de la terre (Magicians for the world), an art exhibition held at the Centre Georges Pompidou and the Grande Halle Parc de la Villette. This is where her work has featured, and what it has inspired, over the years. 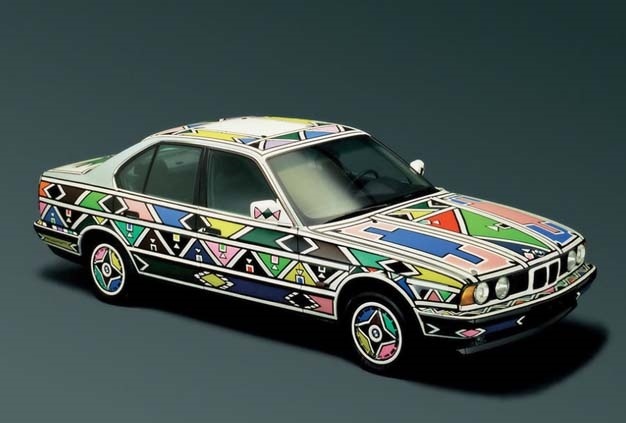 In 1991 car maker BMW commissioned Mahlangu to create an art car, so joining the likes of Andy Warhol and David Hockney before her. The BMW 521i became the first African art car and was exhibited at the National Museum of Women in the Arts in Washington DC in 1994. Mahlangu became the first non-Western and female designer of the art cars. 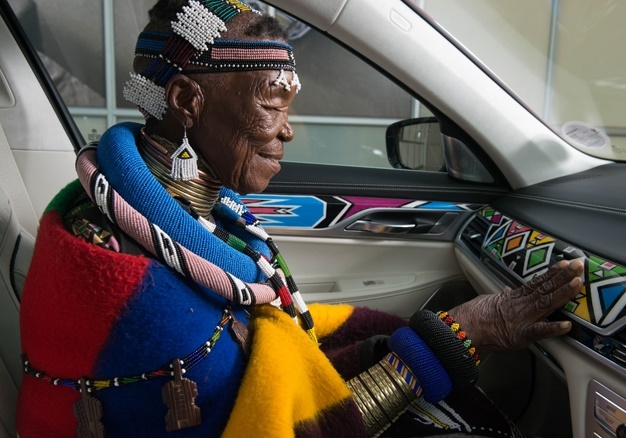 She was commissioned again in 2016 to add her Ndebele art on the BMW 7 series which was on display Frieze Art Fair in London. A mural in New York, New York. 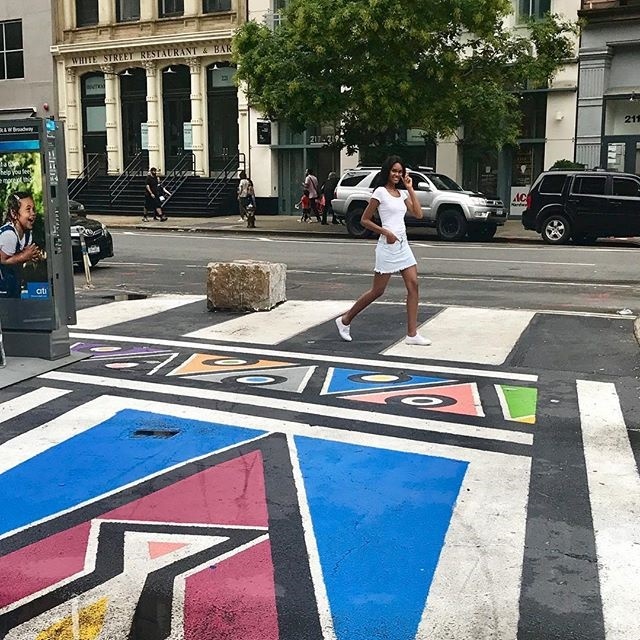 In September last year, a Ndebele art mural inspired by her work was unveiled in Manhattan, on the corner of Franklin Street and West Broadway in Tribeca. The artwork named Xola, was completed by the New York-based artist, Imani Shanklin Roberts in collaboration with Citi Bike and South African Tourism. 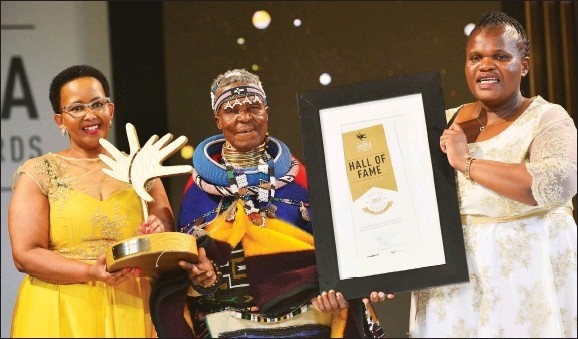 A national honour in South Africa. In 2006 Mahlangu received the Order of Ikamanga (Silver). A vodka campaign next to John Legend. 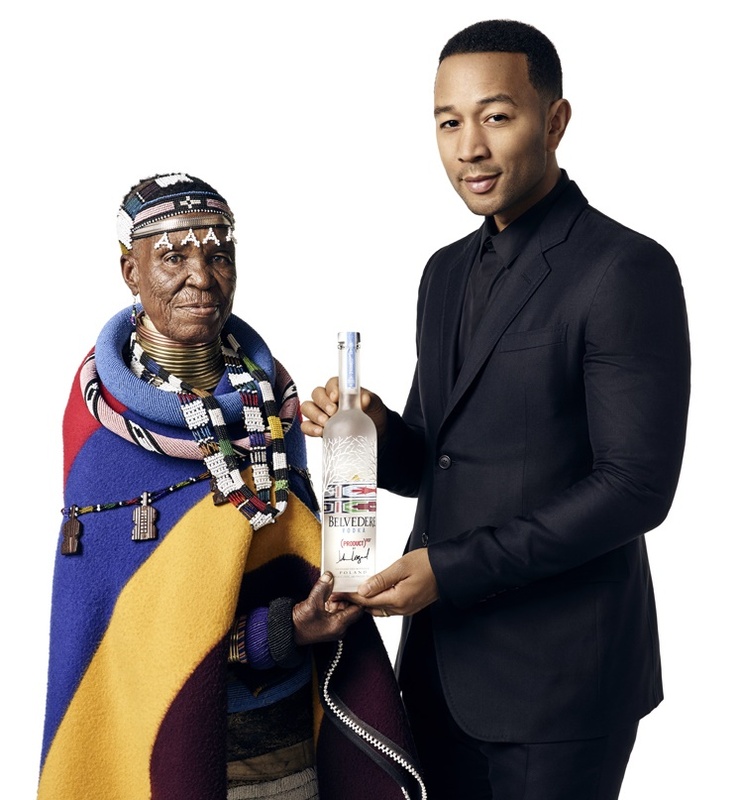 Mahlangu's Ndebele art was featured in Belvedere Vodka's #Makeadifference capaign where she appeared in their advertising campaigns with America singer, John Legend. The limited edition bottles were sold at selected stores where 50% of the profits were donate to the Global Fund to fight HIV/AIDS in Africa. 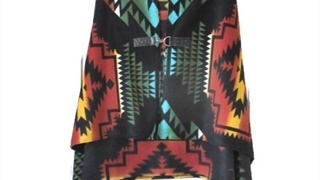 A greater appreciation of Ndebele art. Ndebele paintings, predominantly done by women, are a form of self-expression of one's individuality and sense of self-worth. 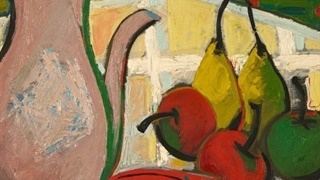 Mahlangu was taught how to paint by her mother and grandmother at the age of 10.